Designed by Paz Arquitectura, the Corallo house in the Santa Rosalía area of Guatemala City, Guatemala is built to allow the trees to grow within the house. The lot sits on a dense hillside forest. 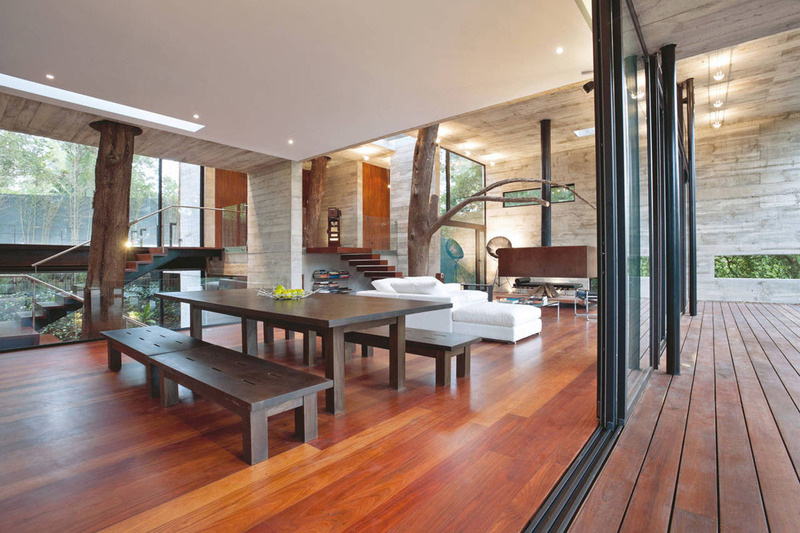 The design of the modern house aims to preserve the existing trees, in order to have the trees interact with the living space. The large glass façades connects the interior to the exterior, and lets plenty of light to filter through the house.